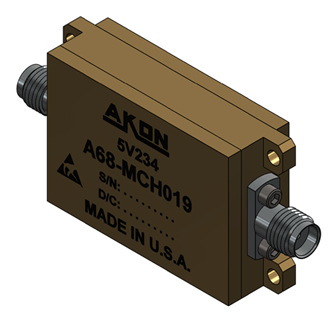 Akon millimeter amplifiers are available banded in the popular 18 – 26.5 GHz, 26.5 – 40 GHz bands, as well as broadband 18 – 40 GHz and 33 – 50 GHz. 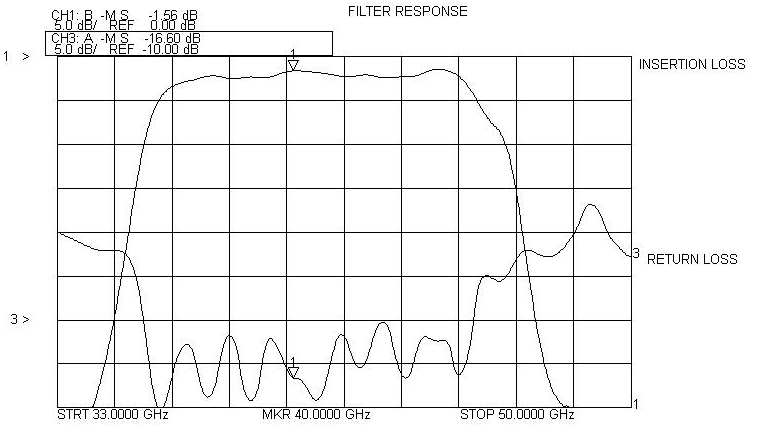 LNA noise figures are as low as 3.5 to 4.5 dB at 18 GHz and 4.5 to 5.5 dB at 40 GHz to 6.5 dB at 50 GHz. 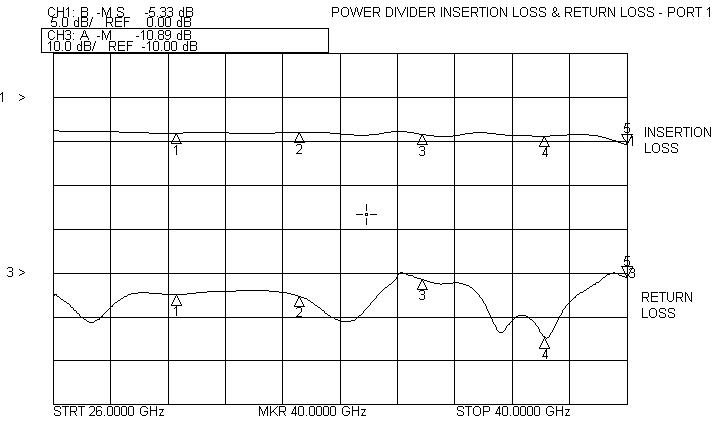 Medium Power amplifiers can provide P-1 dB outputs from +28 dBm at 18 GHz to +23 dBm at 40 GHz and +19 dBm at 50 GHz. 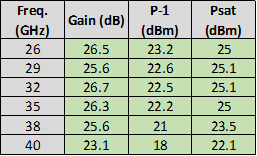 Performance of actual units shown on the right. Akon ultra-compact Power Dividers operate over the 18 – 26 GHz and 26 – 40 GHz bands. 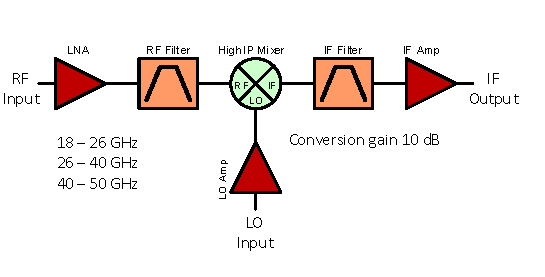 They provide low excess insertion loss and good port to port isolation. Performance of actual units shown on the right. 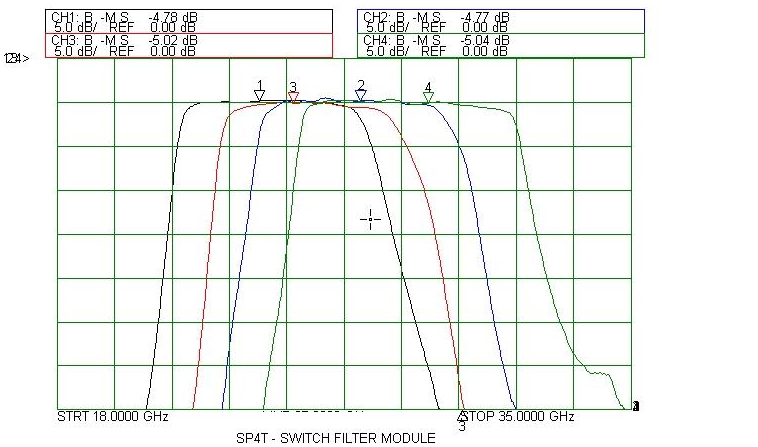 Switches are available SPST through SP8T with absorptive/reflective options, high isolation options, low insertion loss and good VSWR. 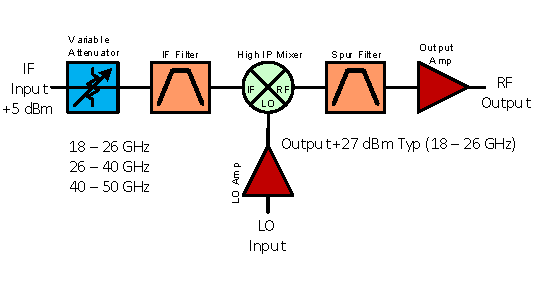 Switching speed is typically 100 ns or better. 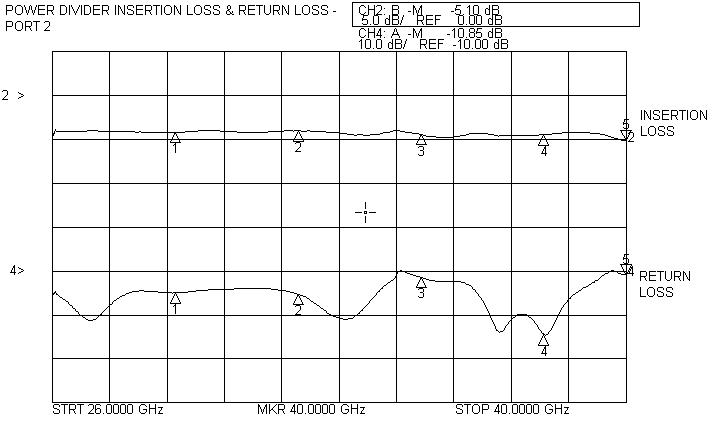 Power handling is typically +23 dBm. 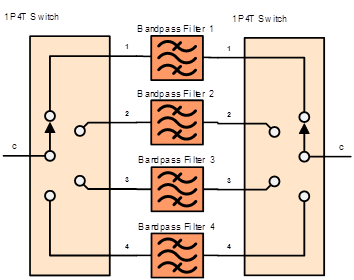 Switch products are full band. Performance of actual units shown on the right. 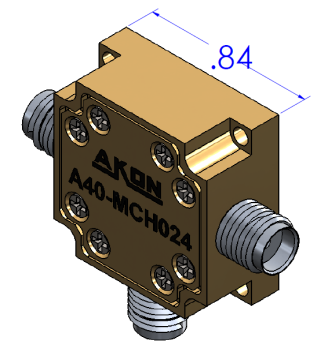 Akon ultra-compact millimeter substrate filters are printed on quartz or alumina substrates as appropriate for the frequency. 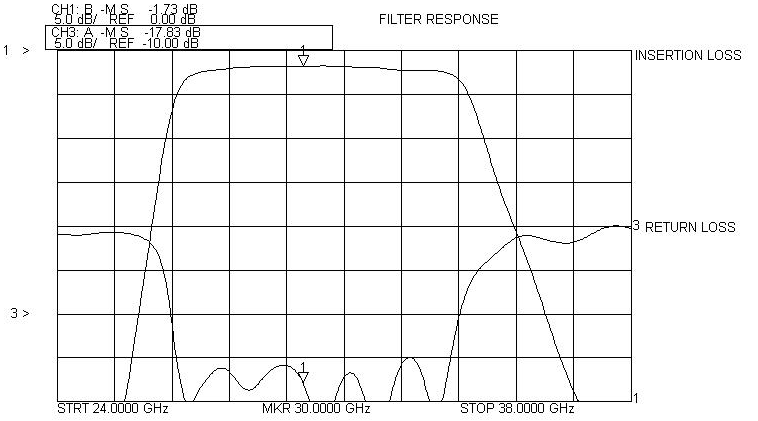 These filters typically offer 2 to 3 dB of passband loss and a minimum of 35 dB of stop-band rejection. 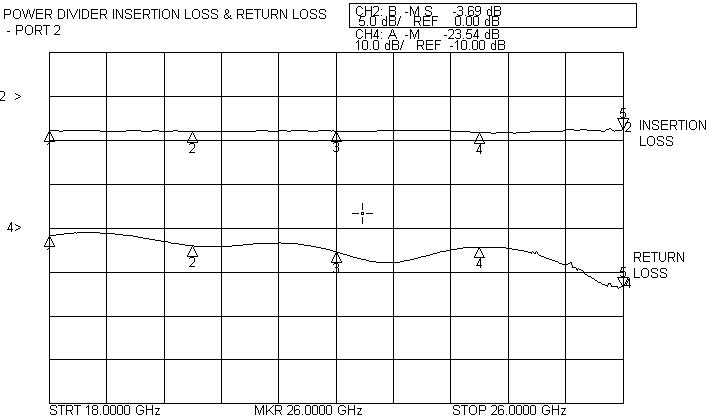 Rejection of 50 dB or more is available using a cascade configuration. 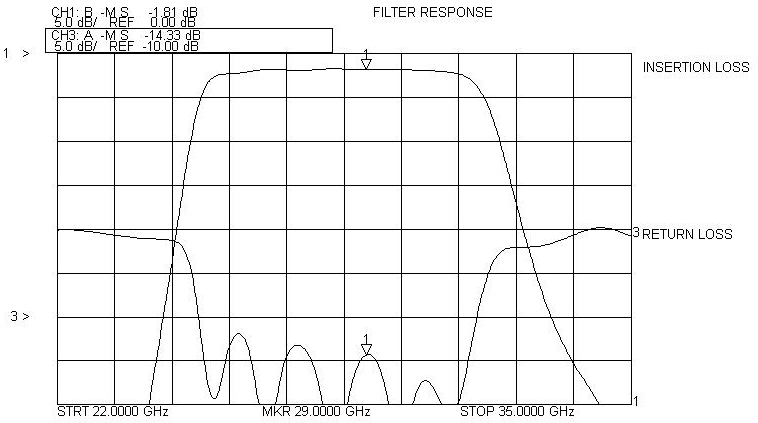 Filters are available with customer specified bands. 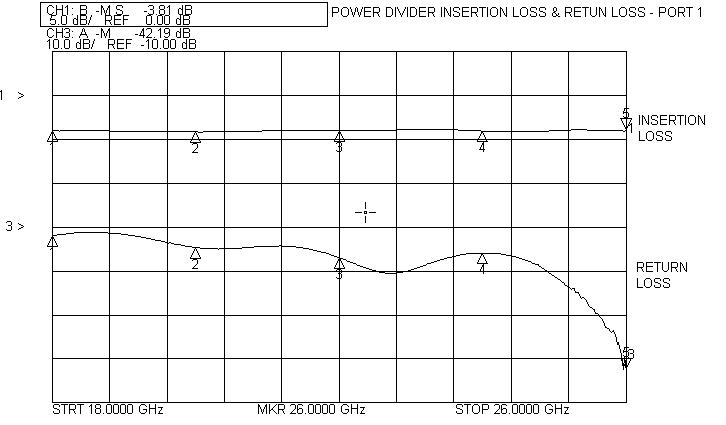 Performance of actual units shown on the right. 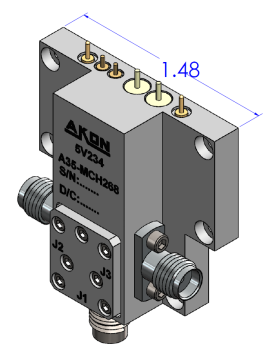 Akon millimeter band Switched Filter Banks are ultra-compact and are a marriage of our above described switching and filter technology, integrated into a single overall packaged IMA consisting of input and output multi-throw switches connected by the filter array as specified by the customer. 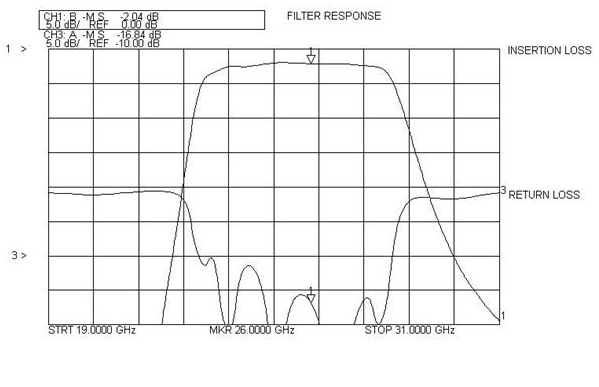 Amplification in the filter bank is available optionally. 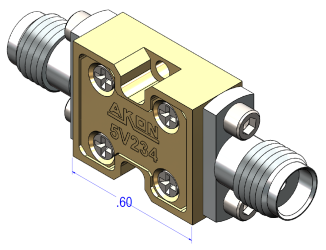 Performance of actual units shown on the right. 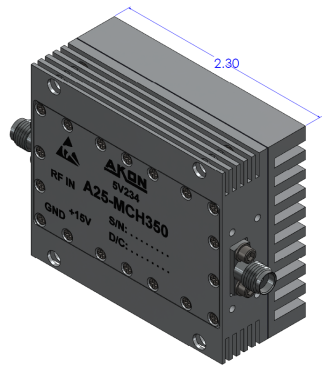 Akon millimeter band active multipliers incorporate non-linear active devices, amplifiers and filtering to achieve a very stable and low added noise frequency multiplication to 50 GHz, with multiplication ratios of 2x to 5x. 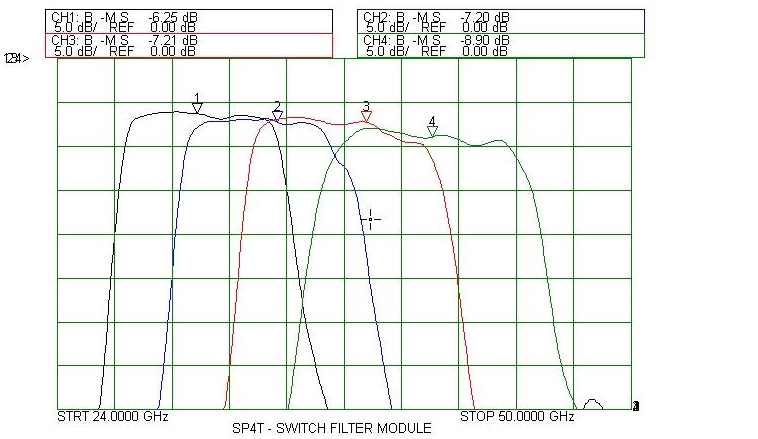 Outputs are filtered to reduce unwanted harmonics and noise. 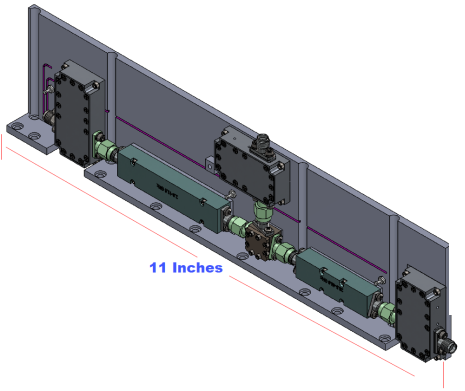 Performance of actual units shown on the right.